Do you live in the Sacramento area? Are you looking for an eye doctor? Well, look no further. Arena Eye Care Optometry has been serving the greater Sacramento area for years and provides exceptional optometry services. 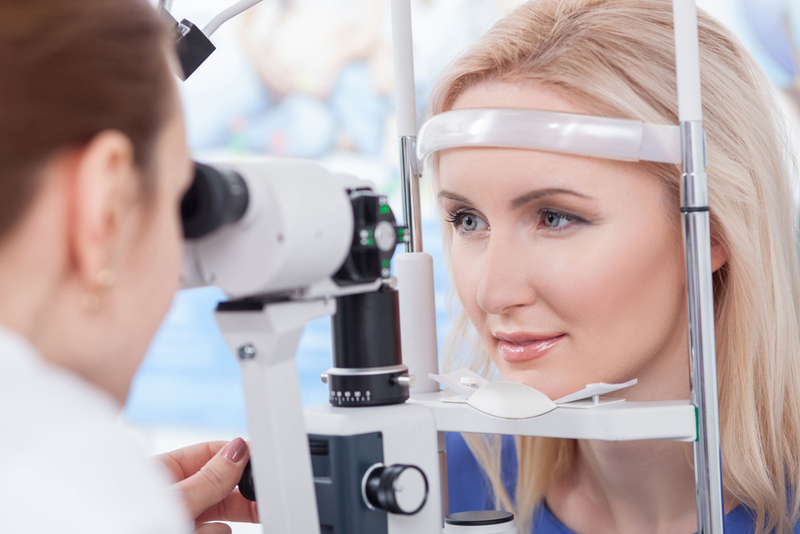 In addition to providing comprehensive eye exams, our doctors provide services for cataracts and other conditions. So, what are Cataracts? We are so glad that you asked! Read on to learn more and find out what our doctors can do to help. Cataracts are a cloudiness of the natural lens of the eye. The lens lies directly behind the pupil, between the front and back of the eye. The lens works with the cornea to help refract and focus light on the retina. When the cloudiness of cataract forms on a person’s lens, it keeps light from passing through it and thus, disrupts the clearness of that eye’s vision. Cataracts develop when proteins build up on the lens of the eye and obscure vision. They generally develop over time. Cataracts are actually quite common among older adults. In fact, nearly half of those over 65 in the United States develops at least one cataract. Moreover, almost everyone over 75 has a cataract in at least one eye. Mild cataracts often do not cause any visual disturbance. Some of these never develop into a problem. However, often they will reach a stage that requires treatment to correct and allow for a return of a person’s vision. If a patient’s cataracts do develop to the point where they are impeding their vision, then our Sacramento eye doctor can recommend whether or not it is time to consider surgery. Cataract surgery is the most common surgery performed in the United States and the only way to correct a cataract. During cataract surgery, an incision is made in the front surface of the eye – either with a laser or a scalpel. A spherical hole is then made in the front of the anterior capsule – the thin membrane enclosing the lens – to allow access to the lens itself. The lens is then typically broken into several smaller pieces with an ultrasonic device or laser. Once the lens is in small pieces, each piece is removed and replaced with an intraocular lens (IOL). An IOL is a clear implant that replaces the lens and restores clarity of vision. Our Sacramento optometrist will then help you during the healing process. Often the eye heals quickly without the need for stitches and our talented staff can help make this period even easier. Contact Our Arena Eye Care Optometry in Sacramento, CA Today! Stop by Arena Eye Care Optometry in Sacramento, call our friendly professional staff at (916) 419-8167, or schedule an appointment online today.